So said our case officer, Nicola Hodgson, at the National Association of Local Councils’ annual conference in Milton Keynes on Tuesday 31 October. Nicola led a workshop, giving top tips on how local councils can manage their open spaces. Nicola continued: ‘We urge local councils to work with their communities to record land as Local Green Space in the local or neighbourhood plan. 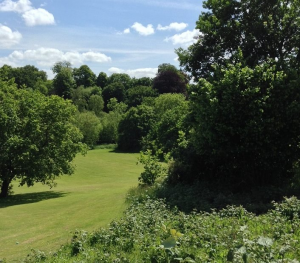 Local Green Space can be any land which is demonstrably special to a community, and designation by the local authority may offer some protection. ‘We also suggest that councils consider registering as a town or village green any open space in their ownership. This secures the land for ever and gives local people rights of recreation there. ‘Or they can apply to designate green space as an Asset of Community Value, which may then be a material consideration for planning decisions. ‘When so much land is under pressure of development, local councils need to know all the opportunities there are to record and secure open spaces for their communities,’ says Nicola. For further information see the Open Spaces Society’s toolkit for open spaces.